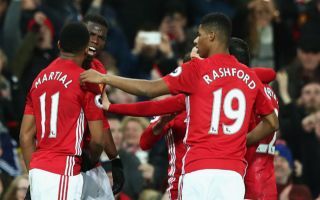 Man United are hoping to see Anthony Martial sign a new contract with the club, with the Red Devils offering the youngster a new five-year deal at Old Trafford. This is according to the Times, who note that the player could very well sign the deal offered to him as he has in his mind that he can last longer than manager Jose Mourinho at Old Trafford. The report also states that the Red Devils are hoping to see Martial agree a new deal despite the fact the player isn’t wanted at the club by current manager Jose Mourinho. 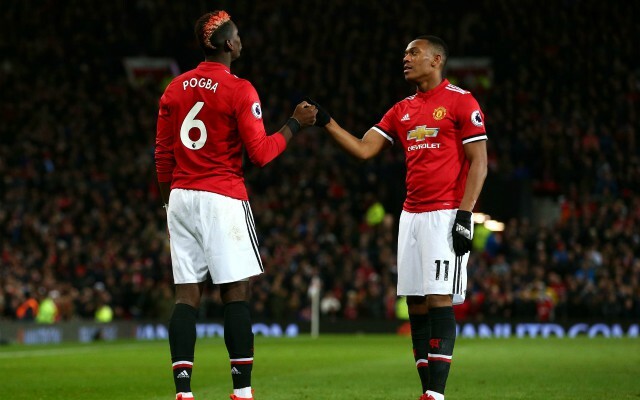 It’s difficult to see why Mourinho doesn’t want Martial at Old Trafford, as the Frenchman has shown during his small stint with the club so far that he’s more than capable of being a key player for them long into the future. The winger, who arrived in 2015 from Ligue 1 giants Monaco, shone in his first year in Manchester, as he bagged 17 goals and nine assists in all competitions to help the club win their first major trophy since the departure of Sir Alex Ferguson. Martial has struggled with life under Mourinho, as the 22-year-old has only often failed to start games for the club this season just gone, especially since the arrival of Alexis Sanchez from Arsenal in January. Only time will tell if Martial ends up agreeing his stay with United, something we’re sure manager Mourinho won’t be too happy to see.